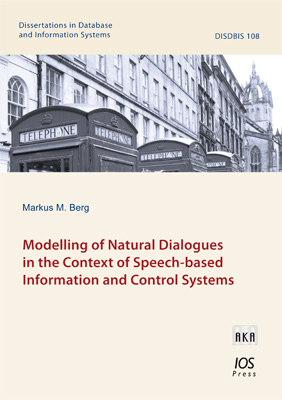 "Modelling of Natural Dialogues in the Context of Speech-based Information and Control Systems"
The aim of the project Mobile Assistive Systems for Intelligent, Cooperative Rooms and Ensembles was the development of services that facilitate the interaction in work environments (e.g. conference rooms). 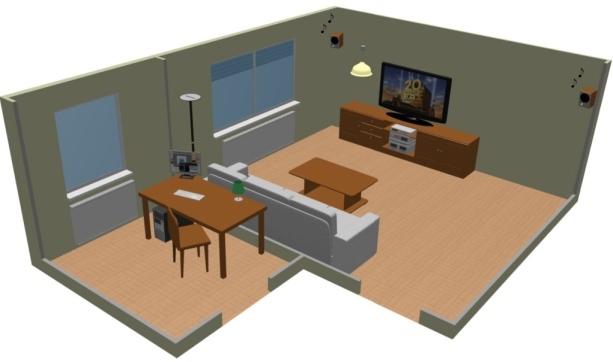 In this project we have developed a speech interface for smart rooms. Parts of this project and parts from my Master's Thesis have been integrated into our new "Multimedia Center" at the University of Wismar, that you can see on the picture. In cooperation with: University of Rostock, Basis GmbH, brown-iposs GmbH. Supported by the Ministry of Economy of Mecklenburg-Vorpommern and the European Union (ESF, EFRE). 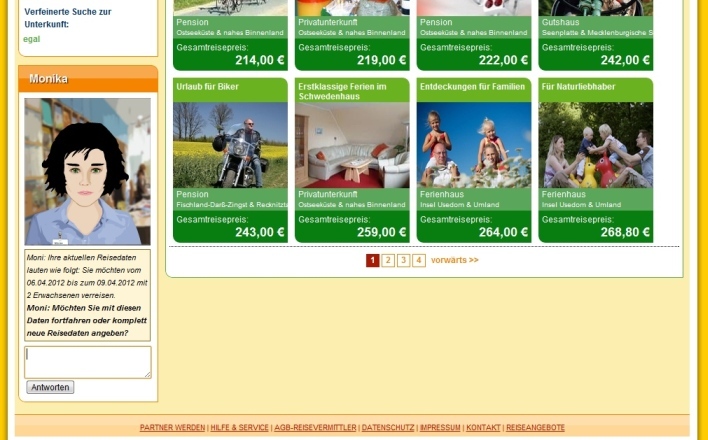 Current tourism information and -booking portals offer the user a form-based interaction with a vast amount of settings that confuses many users. 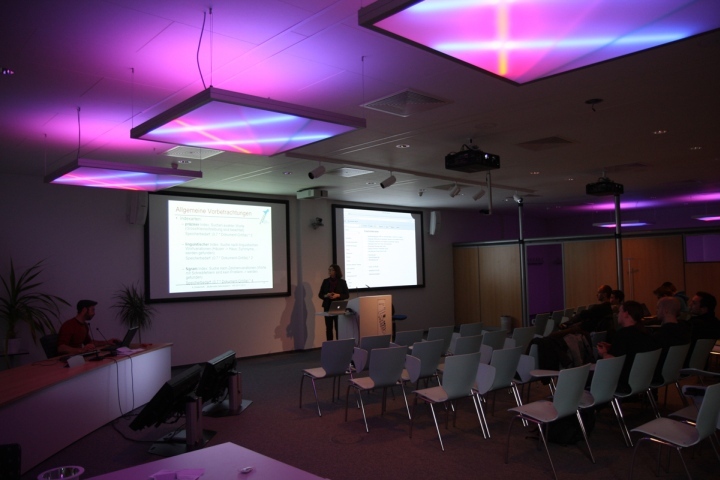 In this project we have developed a text-based dialogue system, that allows the user to interact with the system by means of natural language. In cooperation with: MANET Marketing GmbH. Supported by the Ministry of Economy of Mecklenburg-Vorpommern and the European Union (ESF, EFRE). The electronic ear (Version 1) is a speech interface for smart rooms that has been developed by Ole Grelck and Nicole Fernholz. In my Master's Thesis I redesigned this programme. 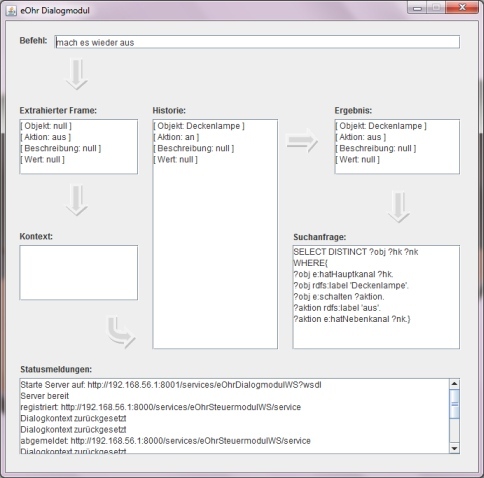 It now uses an ontology to represent domain knowledge, includes dialogue features and intelligent questions and is able to do basic anaphora resolution. The graphical representation of the simulation has been realised by Martin Pfaff. i: Be rational! Π: Get real!